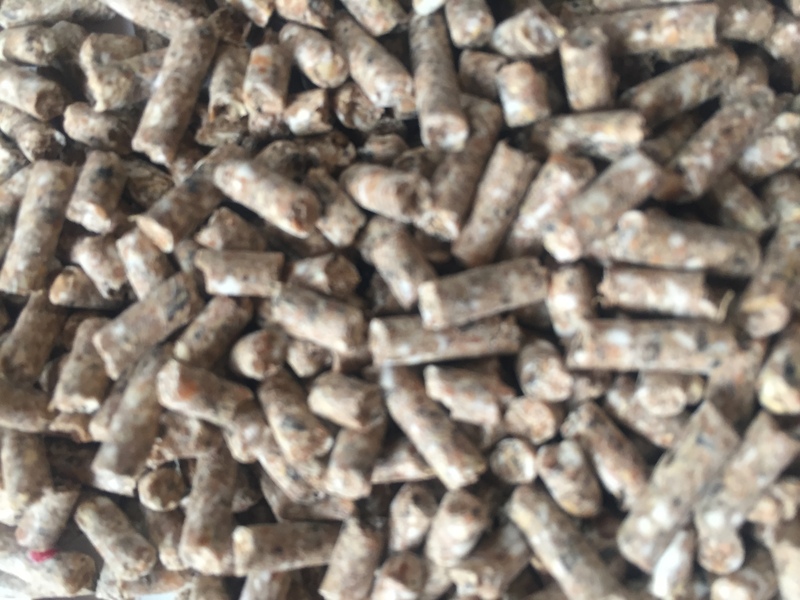 A balanced rearing pellet containing essential amino acids and minerals necessary for strong, healthy bones and good feather quality. Suitable to follow chick crumbs through to point of lay for laying birds, or until finisher is introduced for table poultry. For Replacement Laying Birds – feed ad-lib from 6/7 wks of age up to approx 16 wks or point of lay. Approx 5kg / bird. Ensure that a plain Farmgate Laying feed is introduced at least a week before the first egg. For Table Poultry – feed ad-lib from 4 wks of age through to 9 wks of age then change to Farmgate Chicken Finisher on an ad-lib basis. Approx 7kg / bird. 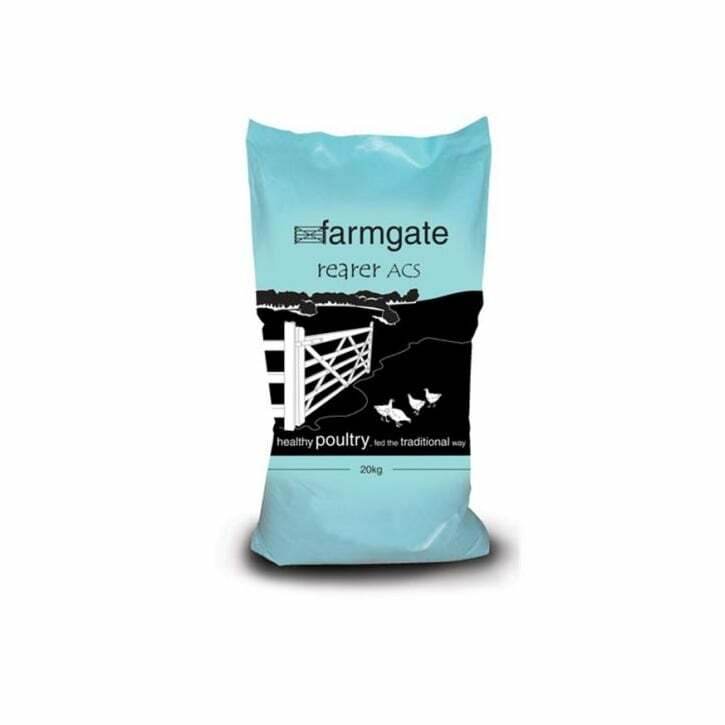 For Replacement Laying Birds – follow on with a plain Farmgate laying diet, either Layers Pellets, Layers Mash or Farmgate Super Omega Mash from approx 16 wks or point of lay. For table Poultry – follow on with Farmgate Chicken Finisher ACS from approx 9/10 wks of age up until 7 days prior to slaughter. Then follow on with Farmgate Poultry Finisher Plain for at least 7 days prior to slaughter. Fresh feed and clean water should be replenished on a daily basis. Feed should be kept in a cool, dry place. Utensils and hoppers should be kept clean. This is a unique product containing LINTEC, a processed form of Linseed which contains high levels of naturally occurring Omega 3 fatty acids. Chickens will enjoy a mixed diet: feedstuffs should contain all the necessary protein, vitamins and minerals and left to their own devices they will scratch for seeds, berries, worms and grubs. They also enjoy mixed corn, oats, grain, sunflower seeds and barley to name but a few. These are usually fed as a scratch treat during afternoons and should not be confused with a main diet. If you are keeping birds for egg production a good feeding regime is imperative, so that you are getting the correct amount of good quality protein; vitamins; minerals etc. Lack of certain nutrients can effect egg production, shell quality and even the bird’s health. Poultry feed comes in various forms; pellets, mash and crumbs that are used mainly to feeding chicks. There are many types of containers that can be made suitable for use as a feeder. Plastic drinkers and feeders work perfectly fine for indoor use and are reasonably priced. One with some weight in will work better as it won’t tip over. Commercial feeders will also not tip up and also release a steady supply of feed without waste. Galvanised feeders are hardwearing and durable, they will be unaffected by sunlight and resistant to strong winds. Note: when feeding birds in numbers, just because there is food available, doesn’t necessarily mean each bird its getting its daily requirement. Some birds are meeker than others and remember the “pecking order”, you may find that others are being greedy and some going without. 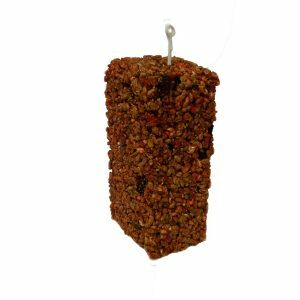 Most laying birds will only require a 16% protein diet, whether it be in a pellet or mash form. Feed should be fed to birds inside as if left out it can get wet, damp and develop mould. Feed can develop mould quickly and cause botulism, showing up as Limber Neck. Insoluble grit is a very useful aid in a laying hens digestive system, and can also be of benefit to young pullets. You should supply an appropriate quantity of insoluble grit to birds from approximately 3 weeks of age. 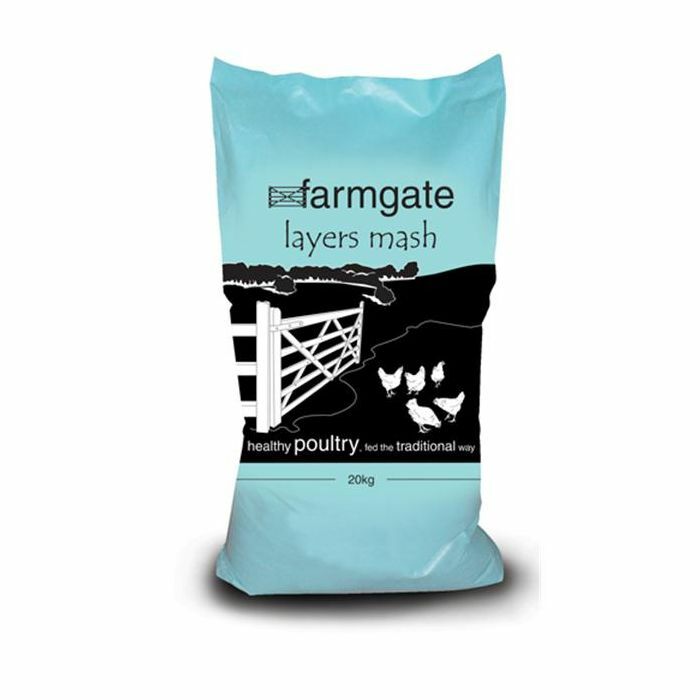 Please note: Farmgate Layers feeds do not require any additional limestone or oyster shell grit. The diet is fully balanced for optimum egg production, consistent shell quality, good yolk colour and excellent egg size. Please note: the proportion of the nutrient in the diet, is irrelevant unless you are getting the right feed intake into each bird. Listed below are a list of vital nutrients and their requirement. Water, water, water…………….. drinkers should be filled with fresh water daily and cleaned thoroughly. Bugs and germs can quickly develop in unwashed, dirty drinkers, causing no end of problems. 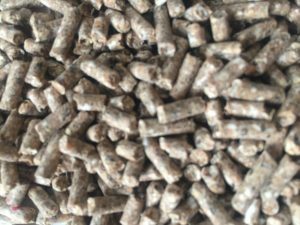 Be the first to review “Farmgate Poultry Rearer Pellets 20kg ACS” Click here to cancel reply.